Recruitment: crisis management or strategic opportunity? Executive recruitment: crisis management or strategic opportunity? Home » Insights and News » Executive recruitment: crisis management or strategic opportunity? Such decisions create a foundation for more effective performance by you, your team, and your company. Conversely, poor hiring decisions drag down performance and are expensive and painful to correct. Active executive recruitment is a necessary component of managing a successful business. In the early days of the global recession, a survey reported in the Harvard Business Review revealed that for many organisations, hiring senior executives was treated as crisis resolution rather than a vital, continuous strategic necessity. During more optimistic days of economic recovery, how confidently can you and your organisation face the challenges of securing the best human capital? What state of readiness exists for your human capital strategy? How well is your talent plan integrated with the overall strategic plan? What is the potential cost of the next talent crisis, as the demand for top players fuels staff turnover trends? How proactive is the ongoing understanding of your firm’s future needs? Engaging with an experienced executive recruitment consultant can be an effective approach to guarding against executive recruitment crises; such a relationship will help you establish a state of readiness to secure a strong future leadership pipeline. However, it is unwise to rely on recruitment agencies who do not specialise in executive recruitment services. Anticipating future leadership needs, based on your strategic business plan. What must our leadership pipeline contain today to ensure that we find and develop tomorrow’s leaders? Identifying specific competencies required for the appointment. Capabilities; political dynamics issues; organisational resources support. Targeting a sufficiently large and comprehensive candidate pool. An executive recruitment consultant will consider objectively a wide range of candidate sources in compiling a shortlist. Assessing short-listed candidates for consideration. Closing negotiations with the selected hire. 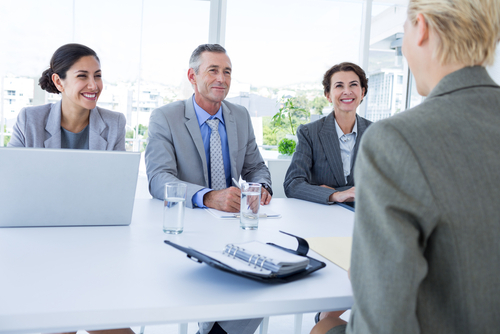 A good recruitment consultant will boost the chances of your job offer being accepted. He or she will share your passion about your company and acknowledge the role’s opportunities and challenges. Integrating the newcomer. Particularly crucial in the first 3-6 months. Executive recruitment firms have long been used by big businesses, but more small and mid-sized companies have realised that they too can benefit from engaging professional recruitment consultants. Building an authentic business relationship with a trusted executive recruitment advisor is as strategically crucial as all other business activities.